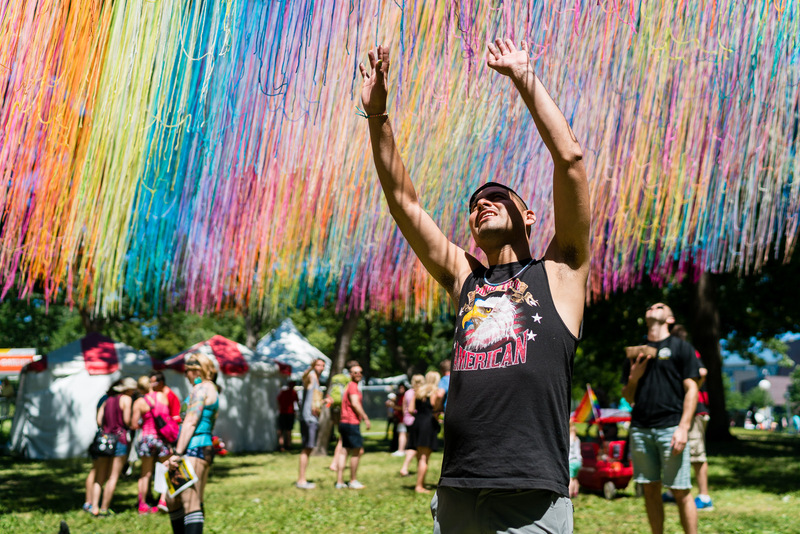 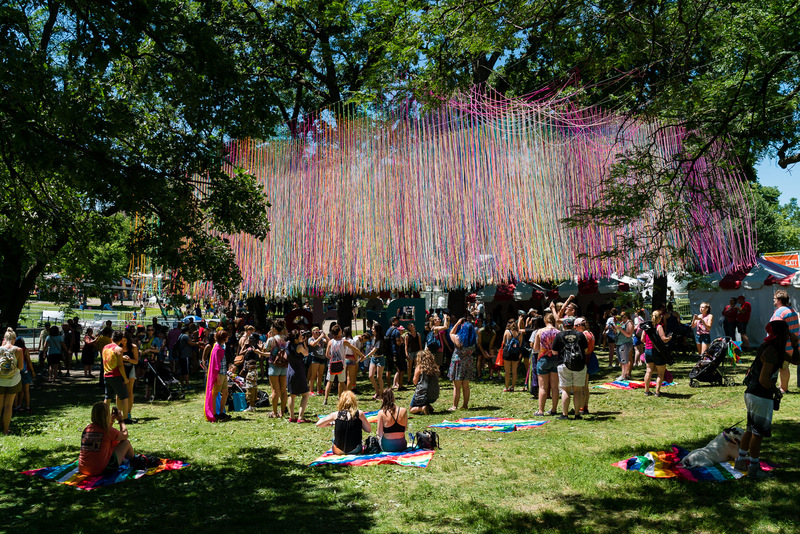 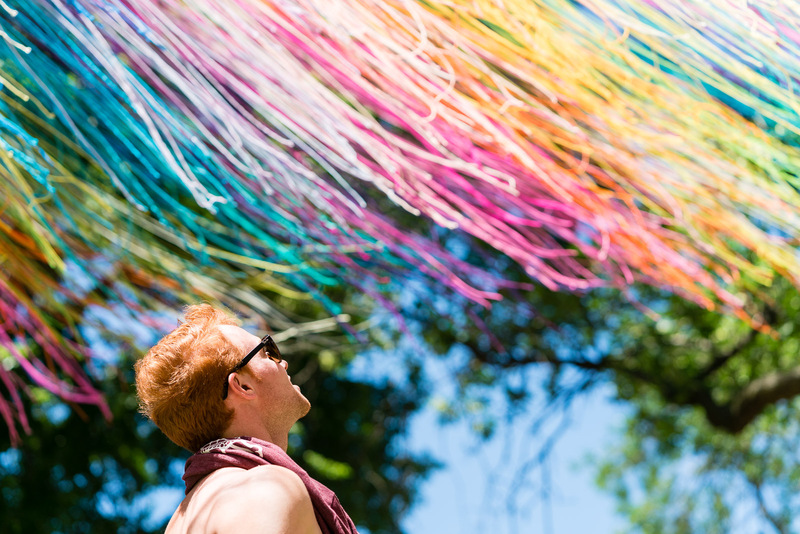 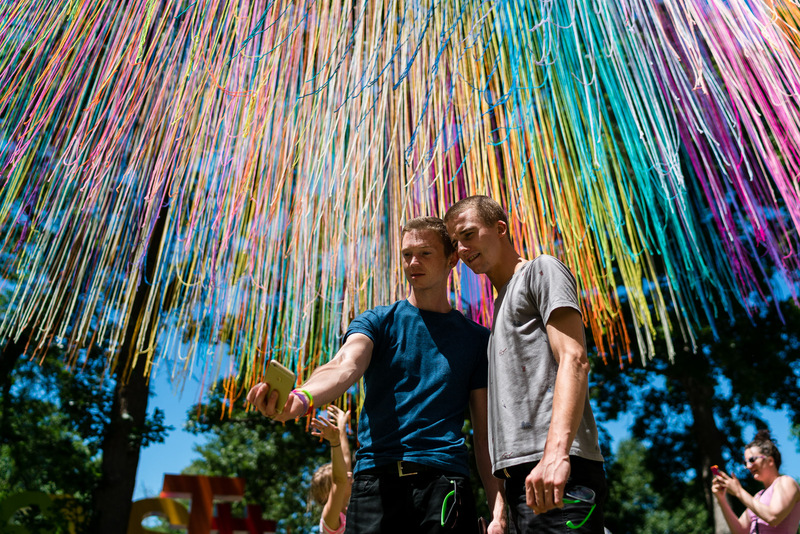 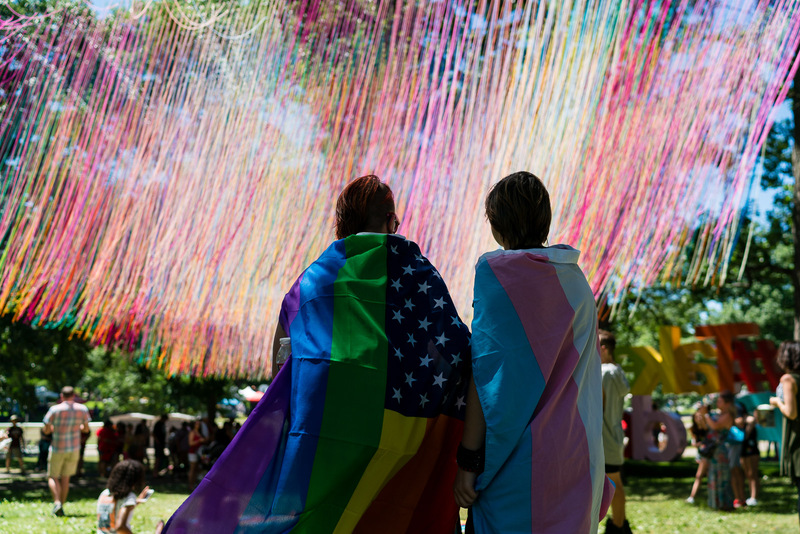 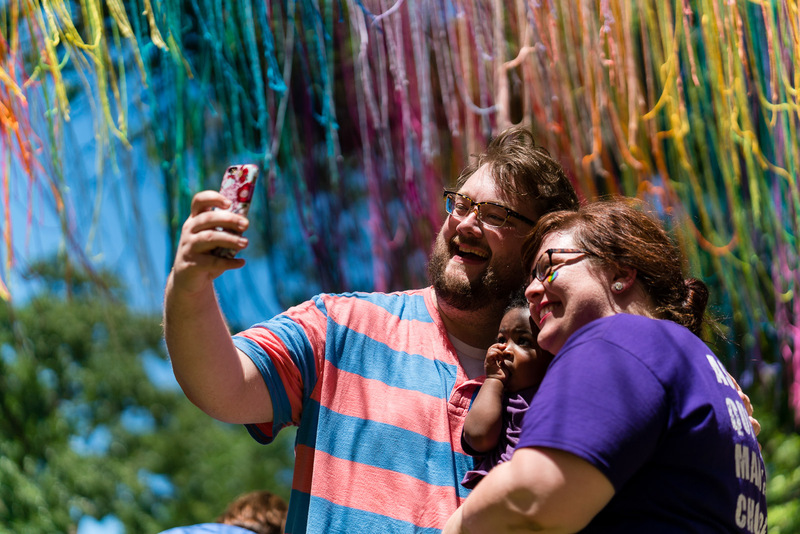 Minneapolis is lucky to have so many talented artists, including HOTTEA, who created this site-specific installation for Twin Cities Pride. 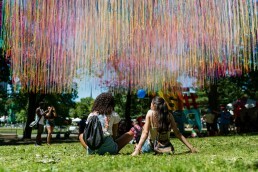 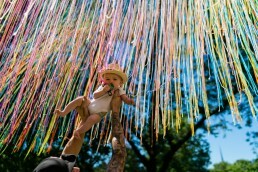 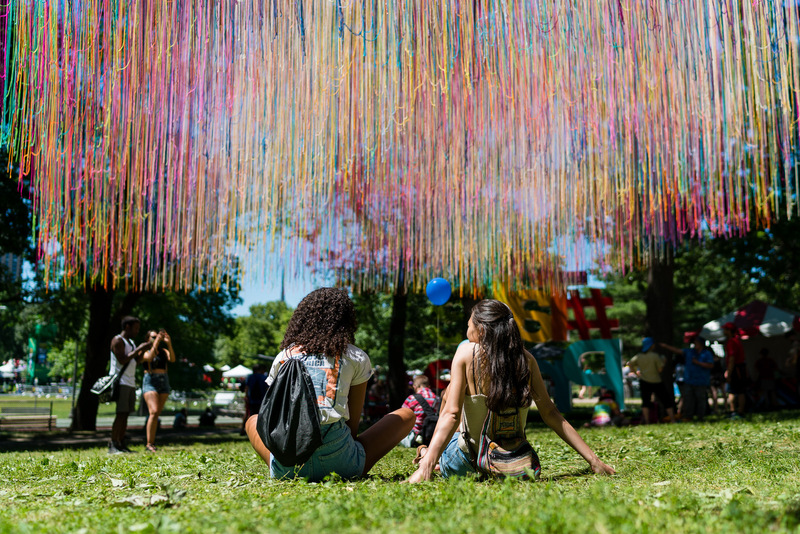 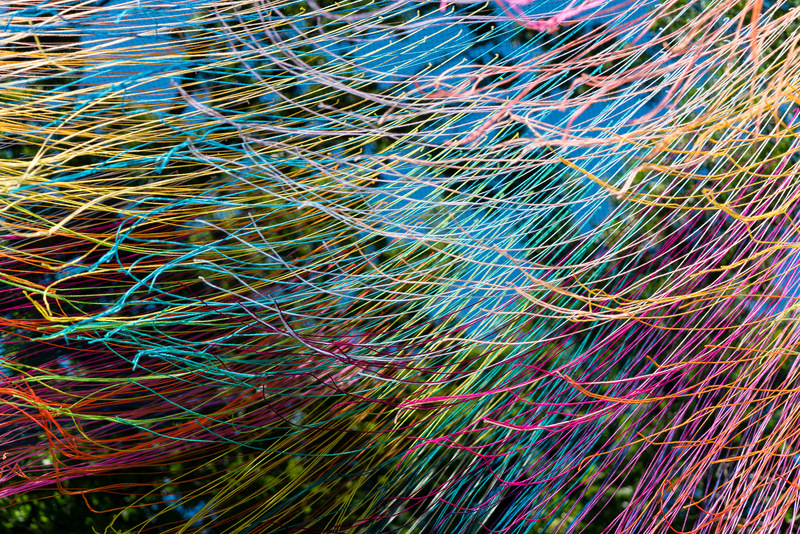 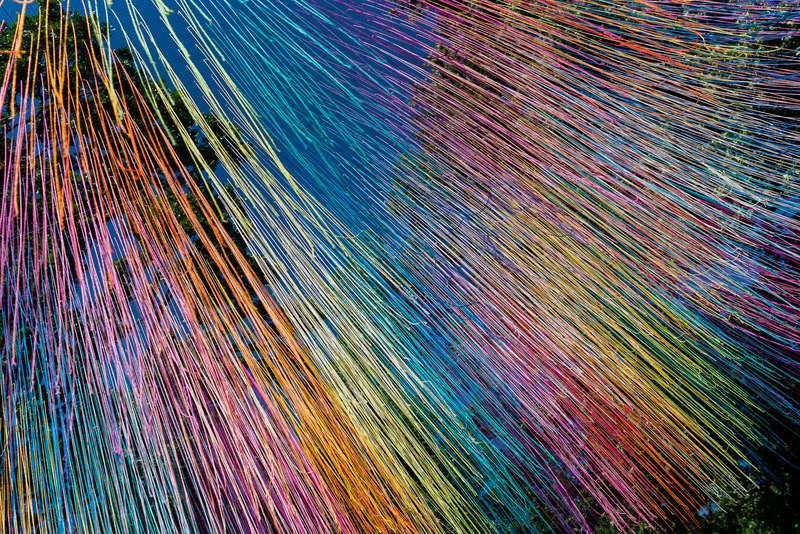 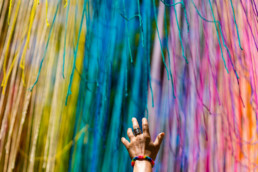 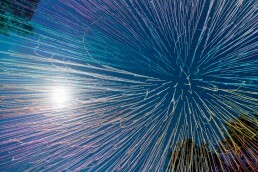 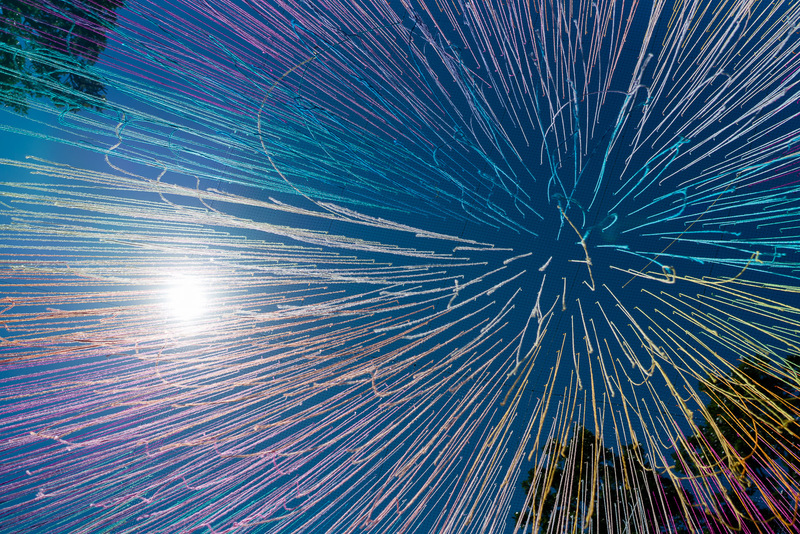 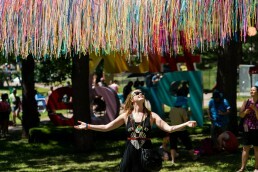 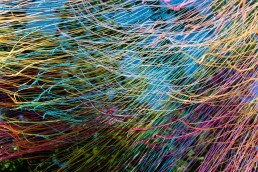 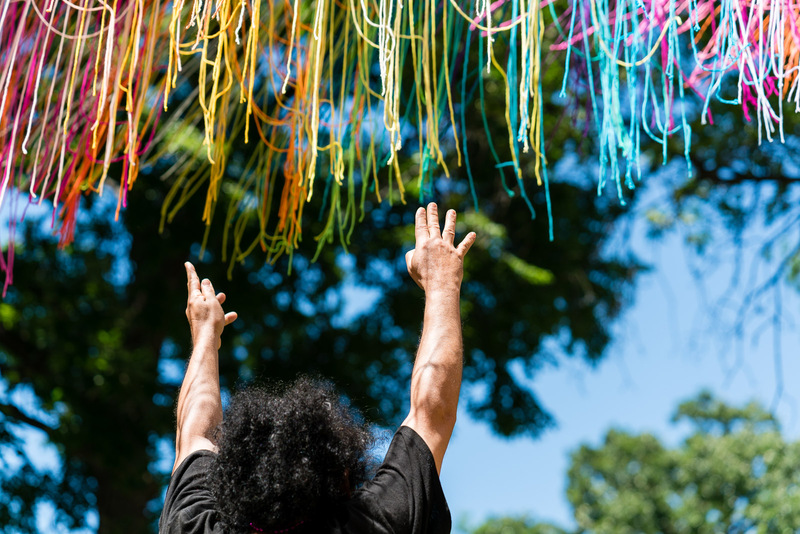 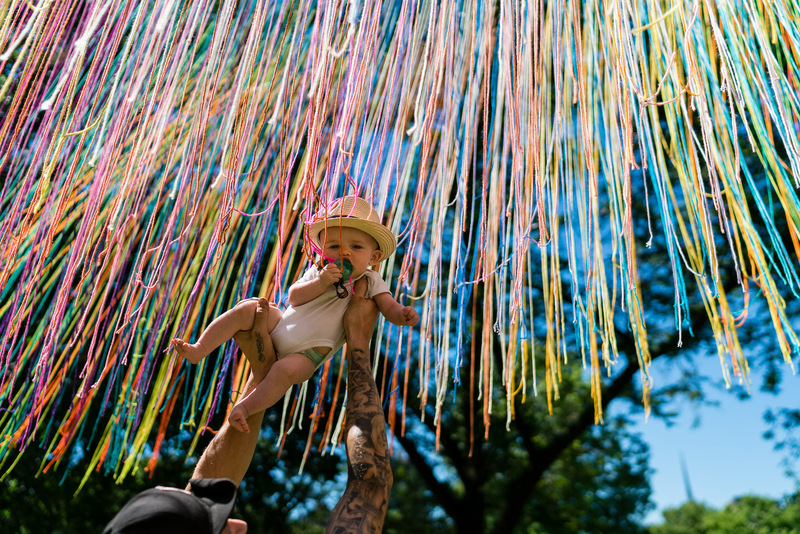 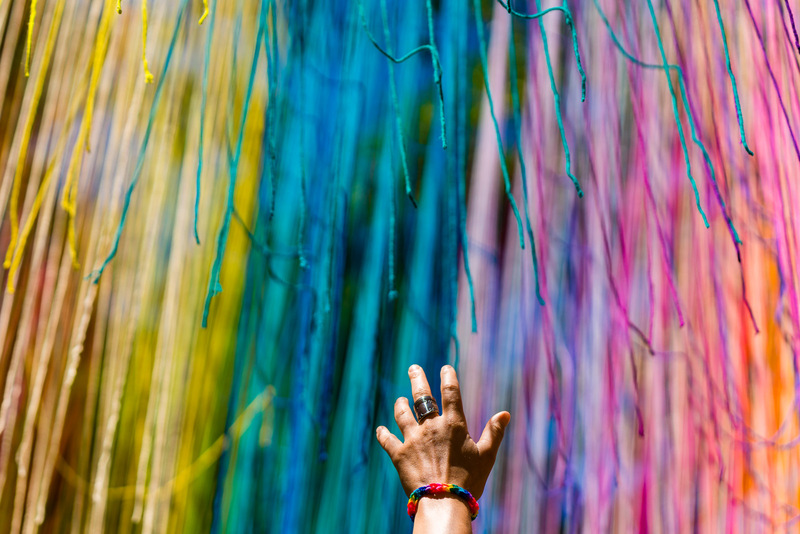 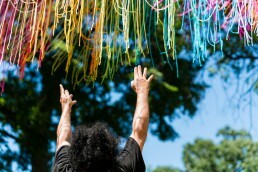 The sculpture is made of hundreds of strands of yarn hanging in a 40’ x 40’ grid. 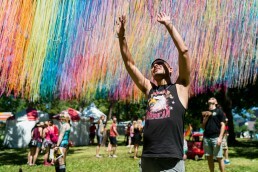 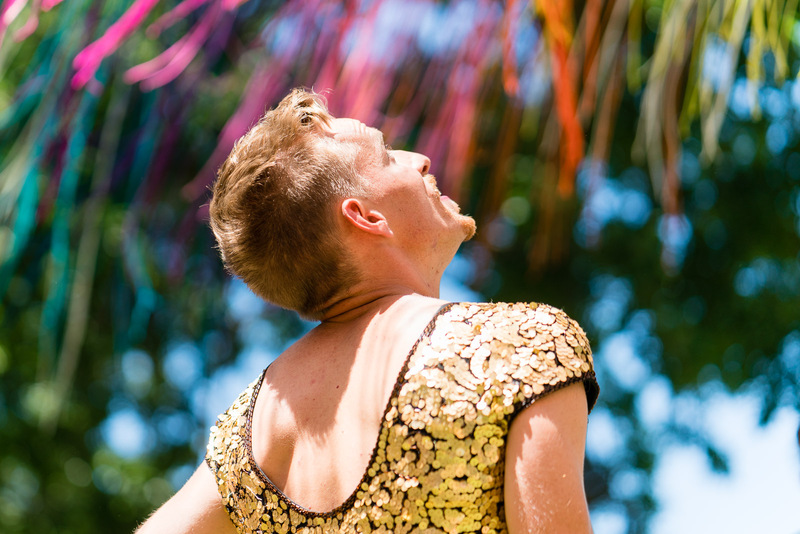 When I first got to the park, I ran into HOTTEA (whose name is also Eric) and he told me about his sculpture, which is called “Time Travel.” When I asked him what the title meant, Eric said that a lot of LGBT people have bad memories of being kids—of being bullied—but that we also have a lot of good memories—like when you would go to the park and play with another kid you’ve never met before, enjoying your shared imagination and playtime together. 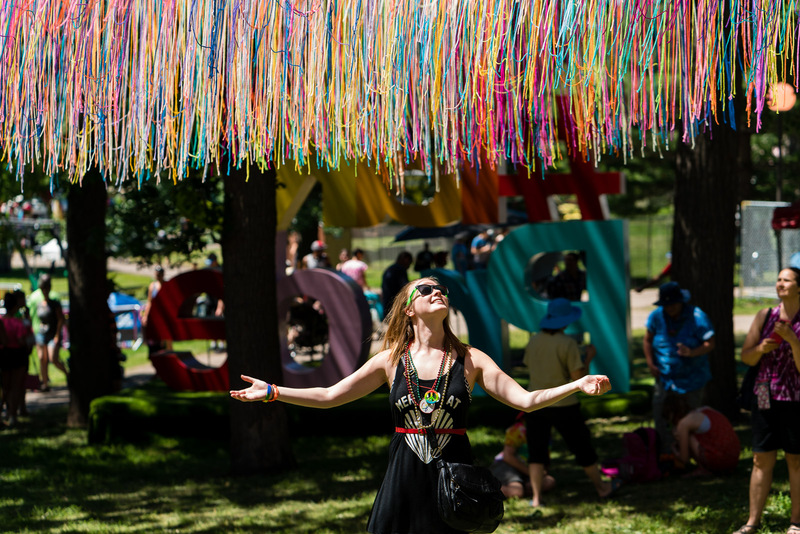 This sculpture is meant to evoke those good memories, where barriers between strangers are broken down because you’re experiencing something beautiful together. 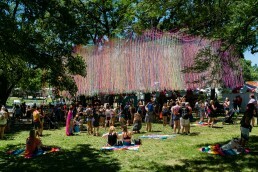 And indeed, that’s how people reacted to Eric’s sculpture in Loring Park; their jaws dropped, their eyes got really big, and they reached for the yarn, which the wind was blowing just out of reach. 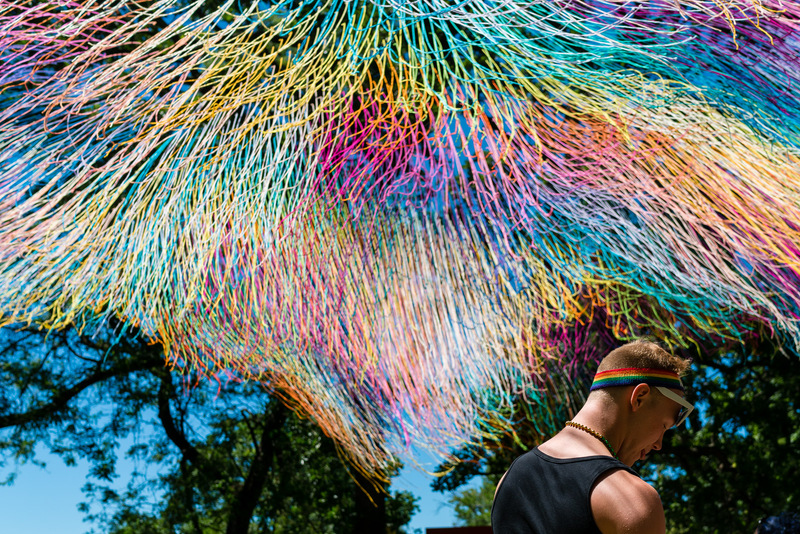 Strangers were smiling at one another, and asking each other to take their photos with this beautiful, kinetic sculpture. 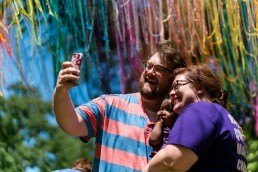 Everywhere you looked people were Instagramming and Snapchatting; trying to capture this experience to share with their loved ones. 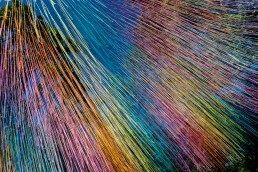 There’s a lot of ugliness in the world, as we all know too well. 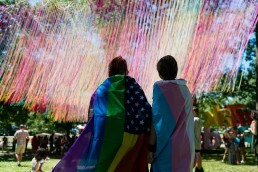 So when you see something beautiful that brings people together, you have to celebrate.